Amelia M. Chapple concentrates her practice in litigation matters. During law school, Amelia served as the editor in chief of The John Marshall Law Review, and as a judicial extern to the Honorable Virginia M. Kendall of the US District Court for the Northern District of Illinois. 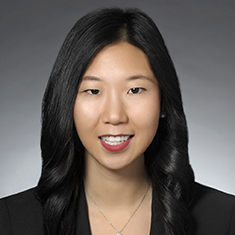 Prior to law school, Amelia worked in regulatory compliance at Express Scripts, Inc., a major pharmacy benefits manager (PBM), and at Blue Cross Blue Shield of Michigan. Shown below is a selection of Amelia’s engagements.